I get calls from Hollywood agents and managers all the time asking me if I believe a certain actor has talent. Very rarely do I say, ‘no’ because most actors have talent. I remember Stella Adler once said, “You have to have a talent for your talent,” which means: do the work. Everyday fulfill the steps you need to take that will bring you closer to your dream—which is to be a working actor. When you are consistently booking roles, you are using your instrument all the time. It’s in tune. When you are not regularly working on a television show, in a film, or on stage in a play your instrument can get rusty very quickly. Think of it as taking yourself to the acting gym. It’s a workout! You have to do the work before getting the work. Working out in an acting class is where you get the chance to flex your acting muscles by working on plays or screenplays that are right for you. Try exploring characters you feel that you would never get cast as, but that would stretch, expand, and strengthen you as an actor. Actors need to constantly be working on material that excites them. Having a sense of community or access to a group of talented peers you can call and say, “Hey, let’s get together and work out today; or let’s pick material and work on it.” is a great phone call to make. 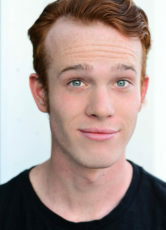 You have to nurture your acting talent by also working on your voice as you mature as an actor. With the mic or boom so close, it’s a mistake to think that voice is not a priority. Working on your voice enhances how your acting performance comes across and energizes the room. Having verbal will is important as it sends the text in to action! Garrett Backstrom, the young actor that played ‘Herman’ in my movie was shooting one of his pivotal scenes. It was a night shoot (4 a.m. to be exact). He chose to keep himself awake with energy drinks. When I test-screened the movie, the audience was not as moved as I wanted them to be. That was because in that climatic moment, Garrett’s voice was not aligned with his body properly. I decided to rehearse and reshoot with him that same scene with an emphasis this time that would be more vocally driven… and yet, once again with the final screen test to make sure it would have the overall effect the scene needed. It was a success because his voice was connected to his body this time! Find a vocal warm up that you do everyday so that your whole body can be an emotional vessel for the expression or impulse that is moving through you. Do exercises in acting that have to do with sensory and triggers. They are your pushups! Work on three senses everyday. Try the basic sensory such as drinking a hot drink, discovering a specific scent in nature, or hearing an intense sound. Create scenarios for yourself that may trigger your ability to recall emotional experiences that you can use to walk a character into a scene using your five senses. Develop and work on them everyday. They are your tools! Flexing muscles in acting is equivalent to pianists’ playing a piano. There’s a lot of fine-tuning, practice, discipline, and focus for this pursuit. The only way to feel your potential as an actor is to find a way to act everyday. An actor acts. An actor sees. An actor takes in everything and receives. Try to expand your horizons. You have to experience as many things as you can—go to movies, watch or read artist interviews and biographies, visit museums, attend festivals. Contribute something to a cause or volunteer. That is how you nurture your talent. 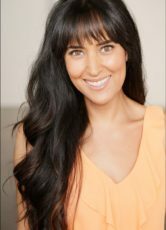 Michelle Danner is a renowned acting coach who works with A-List Actors privately as well as on set. 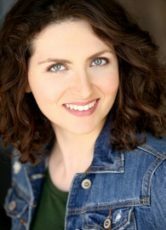 Michelle trained with Stella Adler and Uta Hagen and was voted favorite acting coach by Backstage readers and featured coaching Andy Richter on The Tonight Show with Conan O’Brien. Michelle has two books coming out in 2016, The Daily Ritual and The Golden Box. 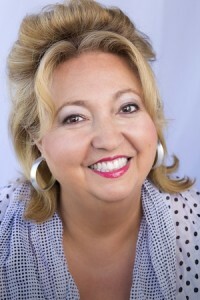 Please find more about Michelle and her acting classes at michelledanner.com.